"Love delivers this sweet little bonbon of a story in a voice that's always chipper, sometimes funny, and pretty darn smart. 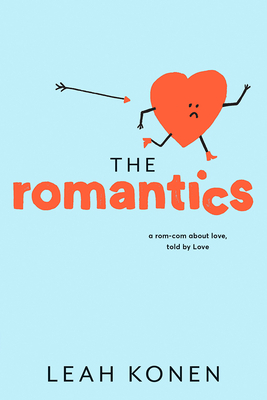 For romantics and skeptics alike, this fresh dose of optimism will warm the cockles of the heart." Konen makes good use of numerous tropes of romantic comedy films, incorporating them into this light and utterly sweet read. Impressively, Konen treats her subject matter seriously while maintaining a playfulness that will keep readers engaged and rooting for Gael. "A jaunty, entertaining work that will reach a broad range of readers, with a feel-good cast of characters teens can root for." "This book is fresh and an amazingly funny look at romance when it is least expected, and Love is one of the best book narrators of all time. This one is not to be missed."